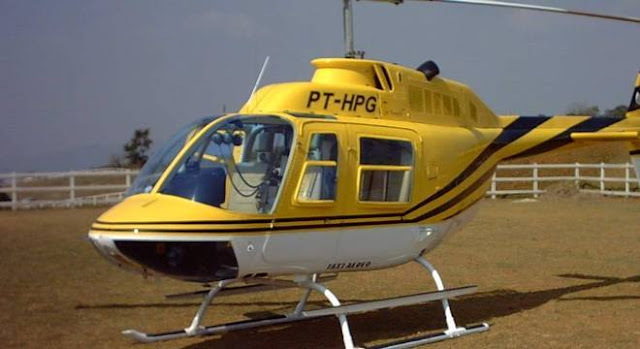 The government of Brazil has notified the NTSB of an accident involving a Bell 206 helicopter that occurred on February 11, 2019. The NTSB has appointed a U.S. Accredited Representative to assist the government of Brazil's investigation under the provisions of ICAO Annex 13. On February 2, 2019, a Vietnam Airlines A321-272N Neo, powered by two P&W PW1130G-JM geared fan engines experienced an No. 2 (right ) engine failure while in cruise. It was reported that a stall warning was detected followed by high vibration and an exhaust gas temperature overlimit warning. The flight crew diverted the flight and landed safely in Lahore, Pakistan. Ground inspection of the effected engine found damage to the low pressure turbine stage 3 blades. The Pakistan Civil Aviation Authority is conducting an investigation and the National Transportation Safety Board is participating an Accredited Representative for the State of Manufacturer of the engines. American Airlines flight 123: Experienced severe turbulence injuring two (2) flight attendants. Expressjet flight UA-4182: Reported bird strike. Went off the runway into a field and came to rest on nose. Alaska Airlines flight 51: Due to air quality issue four (4) attendants transported to hospital. Slid off the end of the runway into Engineered Material Arresting System bed. 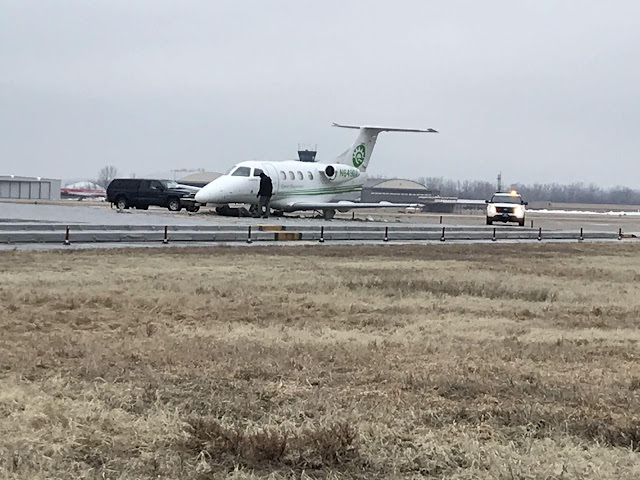 KANSAS CITY, Missouri (KCTV) -- The Charles B. Wheeler Downtown Airport has reopened after a plane slid off the runway due to slick, freezing precipitation Wednesday morning. Airport officials said an Embraer Phenom 100 light jet was landing to the south about 4:30 a.m. when it left the runway. There was one person onboard, the pilot, and there are no known injuries or major visible damage to the aircraft. Field maintenance crews pre-treated the runway with E36 deicing agent, officials said. Spirit Airlines flight 424: Reported smoke in the cockpit with three (3) flight attendants transported to hospital. Touched down in the Engineered Material Arresting System area. July 05, 2016: Aircraft force landed in a field. On February 27, 2019, about 1638 central standard time, an amateur-built Warner Aerocraft Space Walker II, N1778, collided with a tree and terrain while maneuvering near Devine, Texas. The commercial pilot sustained serious injuries, and the airplane was substantially damaged. The airplane was owned by a private individual and was being operated under Title 14 Code of Federal Regulations (CFR) Part 91 as a personal flight without a flight plan. Day visual meteorological conditions prevailed for the local flight that departed Castroville Municipal Airport (CVB), near Castroville, Texas, about 1630. The pilot reported that the purpose of the flight was to overfly his private airstrip, located about 5 miles south-southwest of CVB, to evaluate the surface condition of the runway. The pilot remembers an uneventful takeoff from CVB, flying to his airstrip, and maneuvering near the north end of the airstrip as he prepared to make a low pass of the runway. The pilot does not recall the remaining portion of the flight besides having a brief memory of the airplane descending toward trees in a 90° nose-down pitch attitude. The pilot does not recall if the airplane had any mechanical malfunctions during the flight. The pilot stated that his wife and two grand-daughters, who were witnesses to the accident, heard a reduction in engine power before seeing a dust cloud rise above some trees. 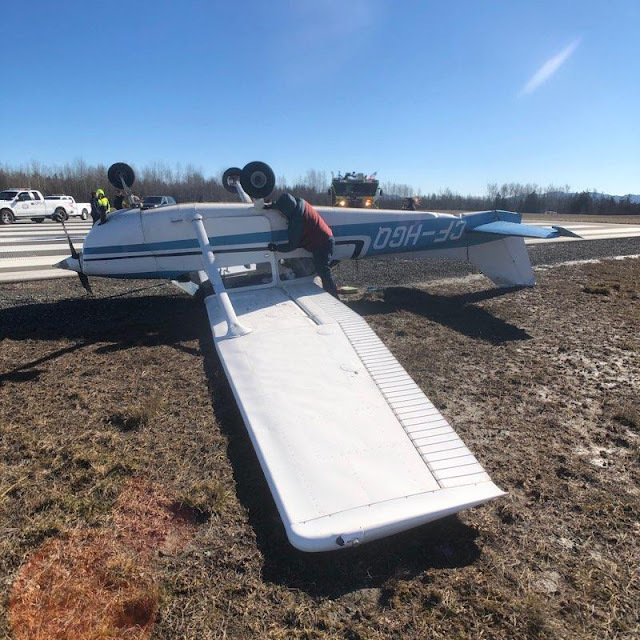 On February 26, 2019, about 1835 eastern standard time, a Piper PA-28-181, N2184X, was substantially damaged during a runway excursion following an aborted takeoff from Bowman Field Airport (LOU), Louisville, Kentucky. The private pilot and passenger were not injured. Visual meteorological conditions prevailed and no flight plan was filed. The personal flight was conducted under the provisions of Title 14 Code of Federal Regulations Part 91. According to the pilot, after performing a pre-flight inspection, he taxied to the active runway for departure. He conducted an engine runup, pre-takeoff checklist and no anomalies were noted. Once he was cleared for takeoff, he advanced the throttle and began the take off roll. As the airplane accelerated through 60 knots and became airborne, the engine stated to run "rough." He elected to land straight ahead on the remaining runway. The airplane over-ran the runway and collided with the perimeter fence. An examination of the airplane by a Federal Aviation Administration (FAA) inspector revealed that the left wing was broken away from the fuselage. The outboard section of the right wing, which included the aileron, was broken away from the wing assembly. The vertical stabilizer was also broken off of the empennage. The airplane was recovered and retained for further examination. On February 13, 2019, about 1245 Alaska standard time, a Piper PA-32R-300 airplane, N40449, encountered momentary severe turbulence during a descent about 22 miles northwest of Anchorage, Alaska. The airline transport pilot and one of the passengers were not injured; the second passenger sustained serious injuries. The airplane sustained no damage. The airplane was registered to and operated by Sound Aviation, LLC., as a visual flight rules on-demand commercial flight under the provisions of Title 14 Code of Federal Regulations Part 135. Day visual meteorological conditions prevailed, and company flight following procedures were in effect. The flight departed Lime Village Airport (AK2), Lime Village, Alaska, about 1200, destined for Merrill Field Airport (MRI), Anchorage, Alaska. According to the pilot, while en route to MRI, severe turbulence was briefly encountered as the airplane descended through 3,500 feet mean sea level (msl) over the mouth of the Susitna River. One of the two passengers, who was seated in the center row right seat, hit her head on the ceiling. The flight landed at MRI without incident and the passenger was treated at a medical facility, where it was determined that she sustained serious injuries. During an interview with the National Transportation Safety Board investigator-in-charge, the injured passenger stated that her lap belt was fastened, but not tight enough. She was familiar with the use of the lap belt and flew with this company in the accident airplane, once or twice a month. The closest weather reporting facility was Ted Stevens International Airport (PANC), which was about 22 miles southeast of the turbulent weather area. At 1253, an automated routine weather observation report indicated the following conditions: wind from 030° at 9 knots, sky condition clear, visibility 10 statute miles, temperature 21°F, dew point 9°F, and altimeter 29.84 inches of mercury. Struck signs / runway lights. Iberia Air flight 6171: Struck leading edge of left wing while pulling into gate. Southwest Airlines flight 2169: Experienced a wingtip strike during landing attempt in strong winds. Federal officials are investigating why a Southwest Airlines plane made three chaotic landing attempts at Bradley International Airport in high winds Monday night that, according to one report, caused the tip of one wing to scrape the runway and left dozens of frightened passengers vomiting from the severe turbulence. A spokesman for the Federal Aviation Administration said Tuesday an investigation of the incident is underway. Southwest confirmed the aircraft, which was ultimately diverted to T. F. Green Airport in Warwick, R.I., had suffered damage on the right wing. The airline said it will conduct its own internal review of the flight, apologizing to passengers and offering ticket refunds and vouchers for a future flight. Southwest flight 2169, which had flown out of Orlando International Airport, landed at Green at about 7:30 p.m., carrying 146 passengers and a crew of five. Passenger Christine Orlovsky-Lascano of Trumbull, who was returning from a trip to Disney World with her mother and three young sons Tuesday, described the harrowing, chaotic scene inside the cabin. Monday’s powerful gusts of wind brought down trees and power lines across Connecticut, cutting electricity to thousands of homes and businesses. According to federal aviation regulations, the pilot is the final authority in the operation of the aircraft. But the FAA may require a written report defending actions taken in the operation of a plane. The harrowing flight on the Boeing 737 into Bradley comes as Southwest struggles with mounting flight cancellations tied to a maintenance backlog on its fleet. USA Today reported that Southwest canceled 131 Monday flights, or 3 percent of its scheduled flights, citing flight tracker FlightAware. More than 400 flights were delayed, USA Today reported. Aviation Herald, an industry publication, reported that one of the landing attempts at Bradley resulted in a wing striking the runway. In a statement, Southwest said there were no reported injuries on the flight. “We are reaching out to our customers on the flight to offer our apologies, refund their ticket and extend a gesture of a goodwill flight voucher for a future trip on Southwest,” Brandy King, an airline spokeswoman, said in the statement. The airline did not immediately respond to an inquiry about Southwest investigating the incident. Once the plane had landed at Green, Orlovsky-Lascano said she rented a car to drive to Trumbull, arriving home at about 10:45 p.m. On Tuesday, she said she remained shaken. WINDSOR LOCKS, Connecticut — The FAA is continuing its investigation after a Southwest Airlines jetliner had difficulty landing at Bradley International Airport Monday night. A wing on the Boeing 737-700 scraped the runway at Bradley, according to the Hartford Courant. In a written statement, Southwest said that the plane — Flight 2169 operating Monday from Orlando International Airport — suffered some damage and has been taken out of service for repair. The 737 had 146 customers and five crew members on board when it tried to land at Bradley during high winds on Monday evening. The flight was diverted to T.F. Green Airport in Warwick, Rhode Island. Southwest said there were no reported injuries. The airline said it has refunded the cost of passenger’s tickets and offered them vouchers for future travel. 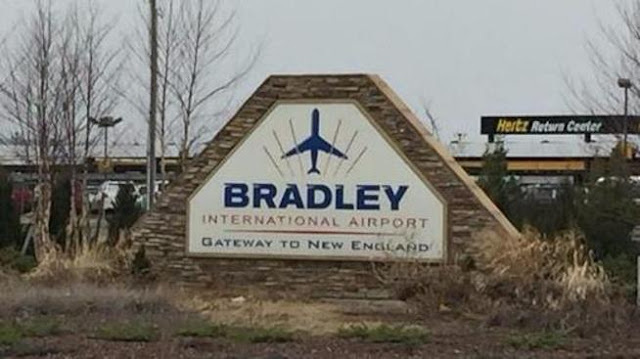 Alisa Sisc, a spokeswoman for Bradley International Airport, said landings and take off are coordinated between the pilot and the FAA Air Traffic Control. FAA communications manager Kathleen Bergen said the agency doesn’t comment on ongoing investigations. The final report will be available through a federal Freedom of Information Act request. Officials with the Federal Aviation Administration and Southwest Airlines said they are investigating a flight that made repeated attempts to land at Bradley International Airport on Monday — at one point reportedly striking a wing against the ground — before diverting to Rhode Island. In a statement, the FAA said Southwest Airlines Flight 2169, a Boeing 737 with 146 customers and five crew onboard, tried to land at Bradley three times amidst strong winds. The plane, which took off from Orlando International Airport in Florida, ultimately landed safely at T.F. Green State Airport in Warwick around 7:30 p.m.
No one was injured during the abortive landing, but some reports quoting passengers said people were nauseated and began vomiting in their seats due to severe turbulence as the plane rose and descended. A spokesman for Southwest said a subsequent inspection indicated that the plane sustained some damage during the landings. The FAA is looking into claims that that the Boeing’s wing tip touched the runway during the first attempted touchdown. The airline apologized for the incident and extended offers of ticket refunds and vouchers to the passengers. 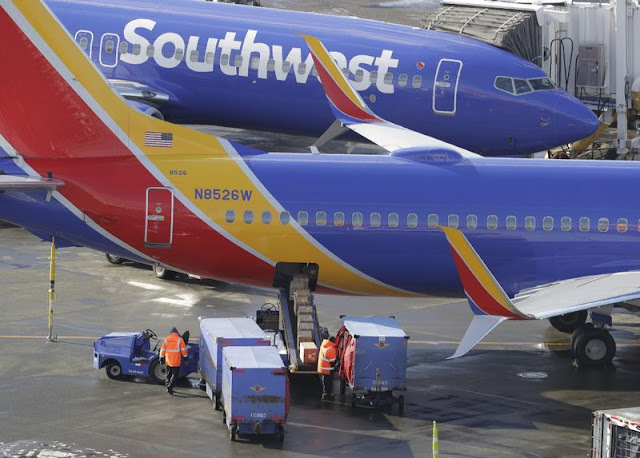 Southwest also said it will launch its own internal investigation of the flight. Though federal officials have not formally determined what forced the plane’s pilot to divert to Rhode Island, Southwest blamed the unusually strong winds that blew down trees and power lines throughout the state on Monday. At some points, Eversource Energy was reporting thousands of outages among residential and commercial customers. The failed landing at Bradley comes as Southwest is contending with a slew of canceled flights over the last two weeks. On Feb. 21, the airline dropped nearly 400 flights, or about 9 percent of its schedule, due to problematic weather and maintenance issues, according to a report from USA Today. More flights were delayed after a computer outage the next day. According to the newspaper, Southwest leadership took the unusual step of publicly apologizing to passengers for the problem and blamed the Aircraft Mechanics Fraternal Association for disrupting ongoing work and contributing to the pileup of delays. Union officials, in turn, accused Southwest of scapegoating its own technicians and said safety was their top priority, USA Today reported. Southwest has not said how many of the cancellations were linked to maintenance issues and how many were attributable to inclement weather. Endeavor Air flight 5336: Visible damage to wing due to possible jet blast from British Airways, Boeing 747-400, flight 116, G-CIVW. The pilot of the tailwheel-equipped airplane reported that, during the landing roll, as the tailwheel touched down, the airplane veered to the right. The pilot attempted to correct with rudder to no avail. The airplane veered off the runway to the right and impacted a ditch. The airplane sustained substantial damage to the left wing, right aileron, and the right elevator. The pilot reported that the wind was calm. The pilot landed the airplane on runway 21. 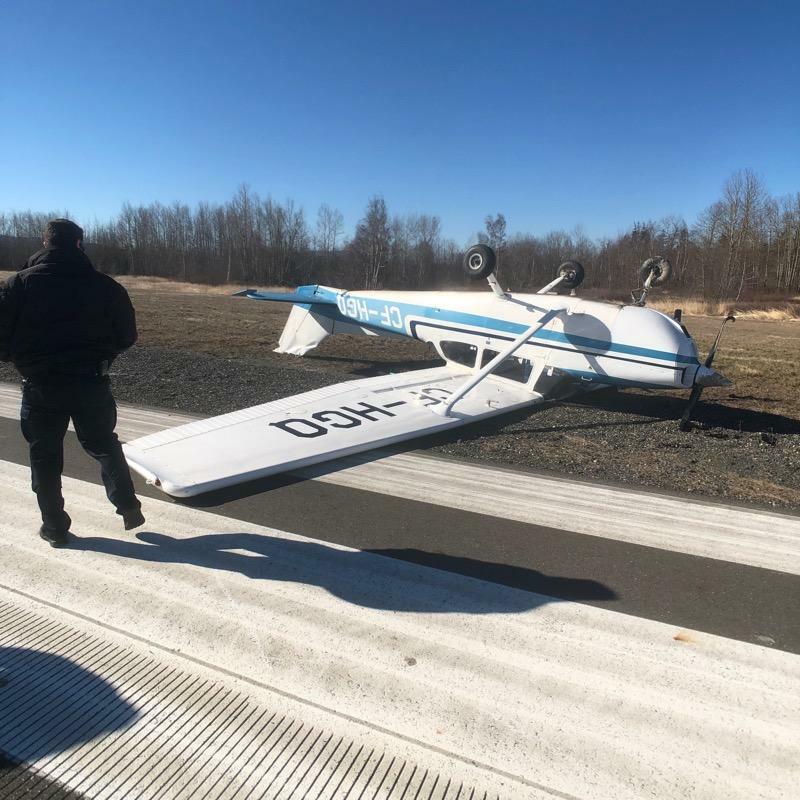 The pilot reported that, while taxiing to the runway for takeoff, the yoke was, "left and push in," a wind gust from the right lifted the right wing. The pilot was unable to maintain control and the wind continued to push the airplane to the left off the runway. The airplane subsequently nosed over. The airplane sustained substantial damaged to the fuselage and empennage. The automated surface observing system located on the airport reported that, about the time of the accident, the wind was from 030° at 20 knots, gusting to 29 knots. The pilot was turning the airplane right onto runway 34. The airplane manufacturer reported that the maximum demonstrated crosswind component was 15 knots. The calculated crosswind component while taxiing into takeoff position was approximately 19 knots. When taxiing with a quartering headwind, the wing on the upwind side (the side that the wind is coming from) tends to be lifted by the wind unless the aileron control is held in that direction (upwind aileron UP). Moving the aileron into the UP position reduces the effect of the wind striking that wing, thus reducing the lifting action. This control movement also causes the downwind aileron to be placed in the DOWN position, thus a small amount of lift and drag on the downwind wing, further reducing the tendency of the upwind wing to rise. 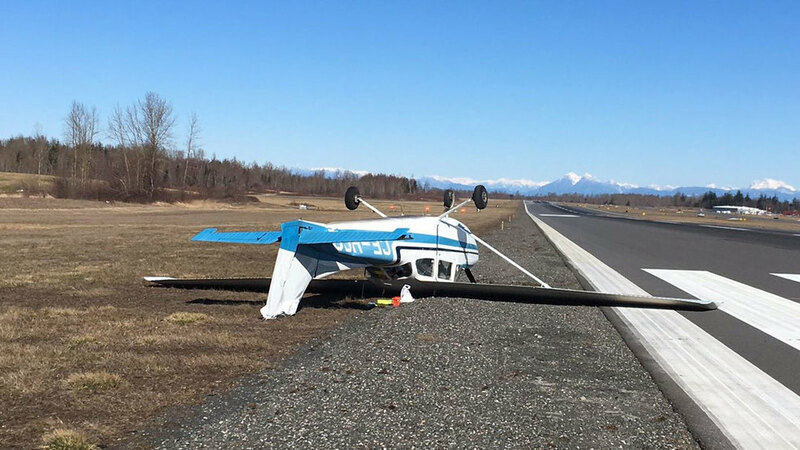 BELLINGHAM, Washington — The Bellingham International Airport closed briefly Monday morning due to the crash of a light plane. 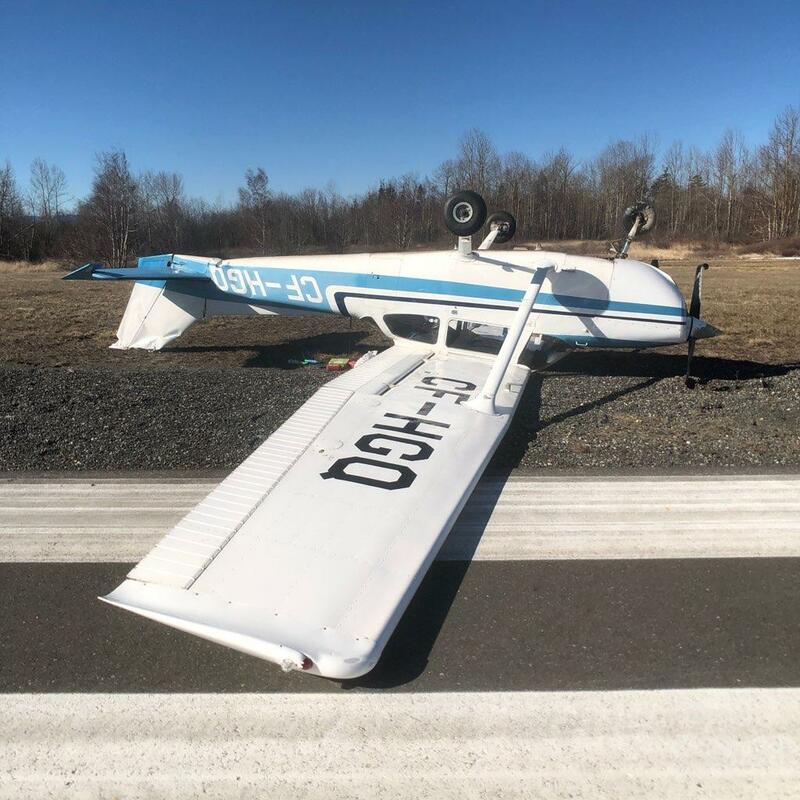 Port of Bellingham’s spokesperson Mike Hogan says the pilot was hit by a gust of wind which flipped the Cessna upside down as he taxied onto Runway 34. The airport closed while the damaged plane was removed. The pilot and his male passenger were not injured. Hogan told KGMI that the airport reopened about 12:45 PM, and during the airport’s closing one flight was delayed and another flight was diverted. BELLINGHAM, Washington - A small plane crashed during takeoff Monday morning at Bellingham International Airport, emergency officials said. The plane landed on its top, but no one was injured in the mishap, Bellingham Fire Department said in a Twitter post. The department said the plane "blew over" while attempting to take off. Sustained northerly winds of 20 to 25 mph, with gusts of up to 40 mph, have been common all morning at the airport. Medics and firefighters responded to the scene.